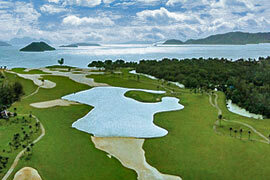 Phuket's first 21st Century championship course lies on the scenic north-east coast. A nine-hole night golf course, due to open in early 2005, is also close by in the foothill. The courses are 10 minutes' drive from the airport and 30 minutes from Phuket City.